What business requires, car leasing delivers! Choose a car, set up a leasing – all in a single place on your Internet Bank. Leasing interest on new cars – from 2.19%. Option to conclude CASCO policy. With the EaSI guarantee, car leasing is even more accessible. You may also be interested in our Full service lease offers. Improper fulfilment of your financial obligations may negatively affect your credit history, increase the price of credit, and if the agreement is terminated due to material breach on your side, you may lose any payments already made, as well as the any rights to the financed property. * Type of insurance – Standard Comprehensive insurance, deductible for all events, except for theft – EUR 144, theft – 10%, but not less than EUR 144, broken glass – EUR 0 (if the repairs are performed in the repair centre specified by the insurance company). Purchase amount value is too low, financing is not possible. Please enter a value greater than or equal to 5000. Our long experience and wide selection of products enables us to offer you the best solutions. We offer new and used car leases according to the needs of your business. Sign a Motor Own Damage Insurance contract online (in the internet bank) or in any Swedbank branch along with a lease agreement. Once you sign a Motor Own Damage Insurance contract with Swedbank, insurance costs will be added to monthly lease payments. You can review lease agreements in your internet bank. Period of contract range from 6 months to 6 years. This service allows to finance the purchase, meanwhile also enjoying services related to car maintenance such as CASCO insurance, technical maintenance and repairs, tyre replacement and storage at warehouse, 24-hour emergency service, etc. The client agrees with the leasing company on the additional services and the costs of such services are distributed evenly over the leasing period and added to monthly payments. contract duration – from 1 to 5 years. difference between the purchase price and residual value is paid only. Once you select an invoice administration service, the vehicle you lease will appear on the list of vehicles serviced by Swedbank lizingas. This will make you eligible to benefit from a discount available to large customers when you pay for goods and services in the network of our partners, while all invoices will be issued and paid on behalf of Swedbank lizingas. control of the maintenance costs of your vehicles. Click here to see if your vehicle is included in the list of vehicles served by Swedbank lizingas. Click here for the list of our partners and discounts available. Fuel credit card* issued on behalf of Swedbank lizingas entitles you to some exclusive discounts. no need to sign cooperation agreements with relevant fuel suppliers. 10% for car care goods. **An additional discount of EUR 0.017/l is available at self-service fuel stations of Circle K Automat. Swedbank lizingas reserves the right to review the discount unilaterally. An invoice for goods and services purchased during current month shall be issued the following month (an invoice for goods and services purchased abroad maybe issued within the next 3 consecutive months) and delivered to customer for payment. Value of purchases abroad shall be converted into euros using a currency exchange rate applicable at Routex. If your card is lost or you have a reason to believe your card is used illegally, or PIN number of your card becomes available to the third parties, you must block your card immediately and call Swedbank lizingas on +37052586616, and on weekends, public holidays and after office hours, you must also call UAB Circle K Lietuva on 1877. Make sure to indicate the number of card you want to block. As soon as you require your card blocked, you will remain responsible for all purchases effected using your card until 12.00 a.m. of the next business day. 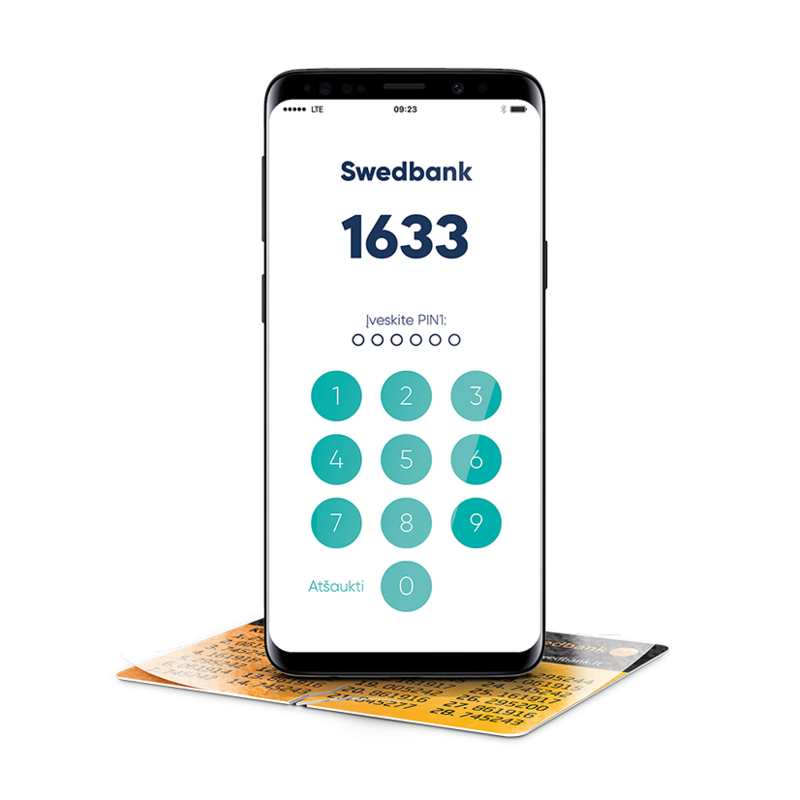 A new card replacing the blocked one will be issued based on a request of a client, and subject to a fee listed under rates applicable at Swedbank lizingas. The card shall be blocked automatically if the PIN code is entered wrongly 3 times in a row. You can unblock your card by calling 1877. Your card will be unblocked within an hour. If you do not use your card for the last 3 months before its expiry date, your card will not be renewed automatically. We are ready to offer advice and guidelines on operation of your vehicle. We are ready to issue statements on the assets used by the client. approaching expiry date of the contract. We shall provide the vehicles you lease with comprehensive insurance cover and at best conditions. no deduction of depreciation of genuine spare parts in case of restoration repairs (for 5 years after the first registration of your vehicle). We shall provide the vehicles you lease with mandatory third party liability insurance cover and at best conditions. we shall renew your insurance policy. We shall insure the driver at the amount of your choice. insurance premiums shall remain stable throughout the period of the contract. We represent the interests of our clients during insurance proceedings, and arrange for restoration repairs of the vehicles. we can provide you with history of insured events of your fleet. change and storage of tires. an option to use vehicle delivery service (in single cases) when the service is not included. Road assistance insures mobility of vehicle users around the clock. control of repairs of the vehicle. A temporary vehicle offered will ensure your mobility pending delivery of another vehicle ordered. maintenance service package of temporary vehicle ordered individually. We look after technical condition of our fleet and arrange for maintenance and repairs in line with requirements applicable by vehicle manufacturer. We also coordinate the time of service works with users of the vehicle and repair shops and oversee progress of repairs. we shall ensure cost control. Swedbank lizingas makes sure your fleet will run on conditions depending on the season. we shall make sure your tires are suitable for use. Replacement vehicle services give you mobility when the vehicle leased is unavailable. the service is available throughout the Baltics. Swedbank lizingas helps you to keep you fleet clean. you can use wide network of our partners, cleaning centres. We make sure you do not miss the mandatory periodic inspection of your vehicle (at UAB Tuvlita) and tolls of main roads are paid. we shall coordinate time for mandatory periodical technical inspection. An agreed amount for vehicle operating costs shall be included in a contractual maintenance fee and shall be paid in equal instalments on a monthly basis throughout the period of the contract. This is to say that maintenance costs shall be covered by Swedbank lizingas, deducting these costs from the agreed limit of the service. neither scheduled nor unscheduled costs for your vehicle will put you in an inconvenience, since these will be settled by Swedbank lizingas and subsequently deducted from the agreed service limit. If the service limit is exceeded, the client shall be required to pay the excess. The service gives an option to park your vehicle at parking sites close to the airports of Vilnius and Kaunas. Since 2004, we act as representatives of a leading fleet management company world-wide. clear vision of the company’s future. Description of the property desired to be purchased or a document proving the price/value of property (purchase and sale agreement or a commercial offer by the car seller). Correctness of details shall be approved by a signature of a person who is entitled to endorse them. If required, Swedbank Lizingas, UAB may request for additional documents (a copy of the Articles of Association of the company, a copy of the document on the assignment of the CEO, authorisations, business plan, report on valuation of property to be purchased drawn up by property valuation agencies acceptable by Swedbank Lizingas, UAB, certificates of the State Tax Inspectorate on indebtedness). This type of lease allows you to become the owner of the property after the end of the lease period, when the entire amount of property acquisition price, interest and VAT are paid. The principle of the lease transaction: a leasing company acquires property that is desired by the client and transfers it to the client for use before the established date. The client pays lease payments during the contract duration, and when the contract expires the property can be returned to the leasing company, the lease agreement can be extended or a new contract can be signed for new property. It is a transaction when Swedbank purchases your desired vehicle and transfers it to you for use. You pay lease payments during the period of the contract for the use of the vehicle and the chosen maintenance services, and when the contract expires the property can be returned to the leasing company, the lease agreement can be extended or a new contract can be signed for new property. Improper fulfilment of your financial obligations increases your funding costs and can negatively affect your credit history; moreover, if the agreement is terminated due to a material violation on your side, forced debt recovery may be launched and in case of leasing agreement you may lose not only paid premiums but also your ownership right to the pledged property.